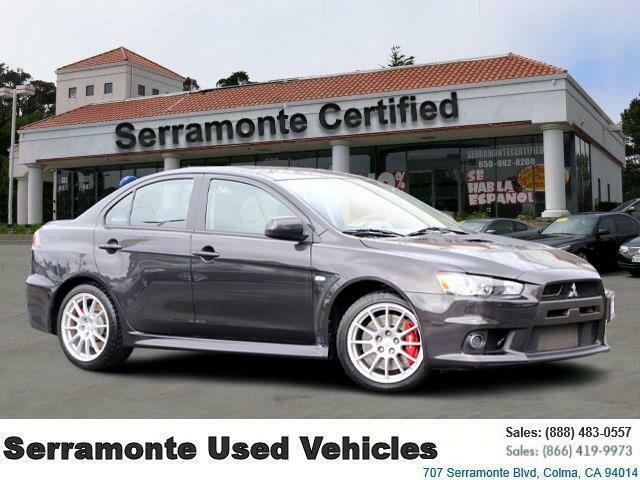 Check out our VERY LOW MILES 2010 Lancer Evolution SE. This ONE OWNER Mitsubishi comes with all the standard equipment. Call us today at SERRAMONTE CERTIFIED 650 992 8200 to arrange a closer look and take a test drive! Our used vehicle showroom is at 600 Serramonte Boulevard across the street from Kohl s department store.